North Jakarta optimizes the role of person-in-charge (PIC) who handle flood or inundation reports at urban village level. Thus impact caused by flood and inundation in this rainy season, such as potholes, can be handled soon.
" PICs who handle inundation and flood reports in North Jakarta hold an important role"
North Jakarta Secretary, Desi Putra conveyed, PIC's role is very important. Thus he expects personnel who acts as PIC to be more responsive in handling any report. 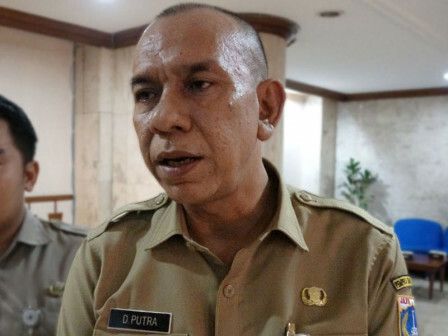 "PICs who handle inundation and flood reports in North Jakarta hold an important role to deliver information to the personnel on duty thus problems can be handled quickly," he mentioned, Tuesday (1/29). North Jakarta Governance Assistant, Abdul Khalit stated, PIC not only gives the most updated information on the field during rainy season through Whatsapp group, but also Qlue application that has been integrated with flood monitoring application. For information, North Jakarta Communication Information and Statistics (Kominfotik) Sub-department has created an application with bit.ly basis to facilitate PIC in giving the information. "Most importantly, we must give our best service to the public," he asserted.